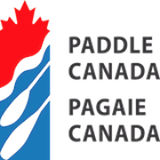 Paddle Canada’s Annual General Meeting will be held at 7 p.m. (Eastern Time) on Thursday, April 18, 2019. The AGM will take the form of an online webinar. Participants may join by computer (mobile or tablet) or by phone. Information to join the conference/webinar call will be sent to members that would like to participate. Please RSVP to Lana Ohler, PC Secretary at [email protected] for the call in details. An agenda, 2018 audited financial statement, and committee reports will be shared prior to the AGM with all those participating in the meeting. The minutes and all supporting documents will be posted on the PC website following the meeting. If you have an agenda item to be added, you can send that to Lana Ohler-Madsen, [email protected] for review and consideration under New Business. Thank you and happy paddling! Graham’s Last Month – Staffing UpdatePaddle Canada’s Staff Bethan Got Married!